A man who stabbed his accountant wife to death a day after he discovered she was having an affair with a joiner has been jailed for a minimum of 17 years. 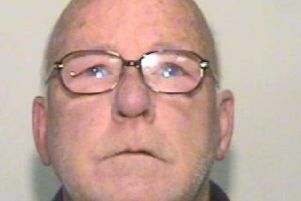 Stuart Gallear, 51, claimed he did not intend to kill wife Mandy, 42, in the kitchen of their home in Hindley, Wigan, and said he momentarily lost his self-control. Last week a jury at Manchester Crown Court rejected his account and unanimously found him guilty of murder on October 6 last year. Sentencing him today (Wednesday) to life imprisonment, Mr Justice Openshaw said Gallear “gave way to self-indulgence, verging on self-pity” as he faced the break-up of his marriage and his family. Police arrived at the couple’s home in Makinson Avenue within 10 minutes of the defendant ringing for an ambulance and found the mother of two lying motionless on the kitchen floor with three deep wounds to her chest. Mrs Gallear, head of accounts at a property firm, was rushed to hospital but medics could not resuscitate her and she was pronounced dead. Six months earlier, Mrs Gallear confessed to her husband, a warehouse manager, about having an affair, but denied it was with joiner Mark Prescott and said it had ended. However, on October 5 the son of Mr Prescott’s partner called at the Gallears’ front door and revealed the relationship was ongoing.